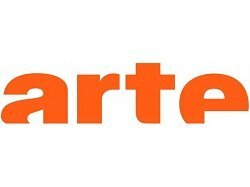 Entertainment TV Channel / ARTE is a public Franco-German TV network, a European channel, that promotes programming in the areas of culture and the arts. It is made up of three separate companies: the Strasbourg-based European Economic Interest Grouping ARTE GEIE, plus two member companies acting as editorial and programme production centres, ARTE France in Paris (France) and ARTE Deutschland in Baden-Baden (Germany). As an international joint venture (an EEIG), its programmes cater technically to audiences from both France and Germany. This implies double-titling, opposite-language subtitling, dubbing, hosts who speak both languages alternately, and two separate audio tracks (through DVB-T, satellite television and digital cable). 80% of ARTE's programming are provided in equal proportion by the two member companies ARTE France and ARTE Deutschland while the remainder is being provided by ARTE GEIE and the channel's European partners.